While the biggest priority for businesses is to find clients and make sales, the process can quickly become overwhelming by all the available marketing options. At the end of the day you can only make money if you don’t think in sales, but in needs, wants and answers. What better way to make your customers happy than to know what they want, when they want it, how they want it and where they are looking for it? STEP 1: Are you 100% sure you know who your audience is? Obviously! 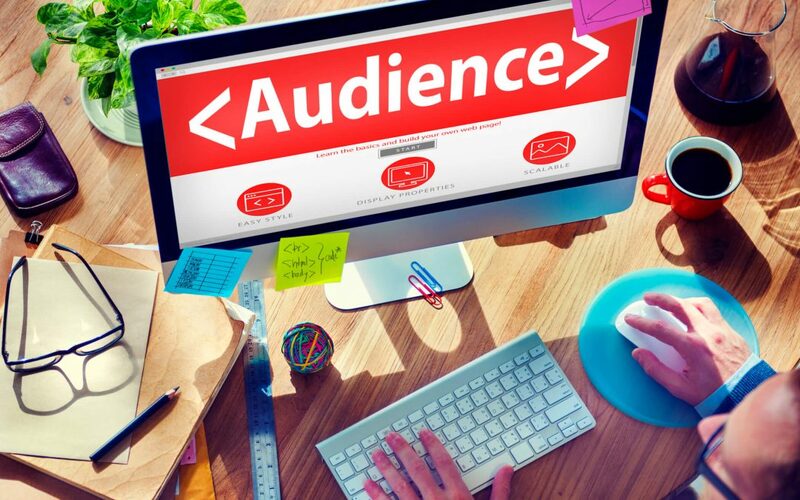 While most business owners think they know their (potential) audience, we usually find out very soon that there is no audience or persona defined yet. Even worse, the “strategies” in place are based on assumptions or prejudice. When we ask to define the personas first, most company owners reject to answer our detailed questionnaire as their first reaction, because the vague idea they have in their head seem to be enough at this point. Time is money, right? BUT the little bit time that it takes to effectively define your marketing persona will save time and save money in the long-run. No matter if you start from scratch or if you have been around the block a couple of times, we’re confident that there is still a few things to do. We have heard it before – even if you are the Steve Jobs of your niche, there is a business that has (almost) the same audience as you do – with the same interests. Hereby we differentiate direct and indirect competitor. Check your competitor’s website, read what they write about, briefly analyze what they are good at or where opportunities are to provide better content. Check their social media channels and look at the likes, comments and views. Scroll down their social media feeds. Please, don’t overthink it and take a quick look. This can also give you a great inside on channels that might not be the best choice for your own social media strategy. Create an excel list, write down which content worked well for them and reuse it in a new way for your own business. Most companies think of keywords when it comes to SEO and website content – which is VERY important of course. What most business owners and marketers don’t think of is that you can also use these keywords to find content that’s relevant for your potential customers and clients on different platforms. The best free way to work with relevant keywords is through Google Keyword Planner and Google Trends. Here you can find the most searched keywords for your niche and WHEN people look for it, such as season-related search terms. These highly searched keywords can also be used for your content plan especially the long-tail ones in most cases. Furthermore, by typing the keywords mentioned in #2, in the Google search field and social media platforms you can get some more approach ideas. This way, you’ll never run out of content and eventually find competitors that you didn’t even know existed. Facebook, Instagram, Twitter, Tumblr, Pinterest and LinkedIn are just a few social media networks that dominate today’s society and the ways in which people interact with each other. Do you have a local network that isn’t popular internationally but very important for your local business? For example, if you speak German and work in B2B, then XING might be a good resource for you. If you are already active on social media, don’t forget to check your analytics and adjust your social media plan accordingly. Although nobody likes the occasional troll, the comments you receive around the Internet are one of the most valuable tools through which you can figure out what your target audience expects from you. Let’s face it, people have no filter when they post a comment, mainly because it almost never has any sort of consequence in real life. But while this certainly allows them to be rude, it also makes for a good space for honest opinions. Therefore you might want to have a look on platforms with question and review functions. For example, have you ever checked Quora, Yelp, Tripadvisor or other review sites to see what people talk about you? This is a not so well kept secret people still don’t really have on their radar when it comes to find out what people want. Buzzsumo gives you the option to find content that has been shared a lot online. A great way for you to find new ideas for content and products. Google is one of the best free services you can use. Unfortunately, many people still scratch the surface of it’s power. Google Analytics comes with helpful tools that can help you establish what to deliver to your audience, and how to exactly deliver something they’re interested in. In fact, Google Analytics can even tell you when to release something new, so it gives you the entire package. If you already have used Google Analytics then you can find out who your website’s visitors are (demographics), which sites and blog posts they looked at, where they came from (referrals), on which page they exit your site, your customer journey (behavior flow) and so much more. Use it to learn more about your current customers and check if your strategy is set accordingly. A survey might not sound very innovative, but they can be a crucial source of information in any field. You can either start one yourself or find resources online. These days there are statistics provided about almost everything. If you feel like creating one yourself you can talk to friends, family or a Facebook or LinkedIn group. Find people who share common characteristics of your desired target group for ideas. As you can see there are countless ways to find out what your audience needs and wants. One thing you should always keep in mind is that this research only makes sense if you really understand who your customers and clients are. Otherwise, you start collecting a huge amount of data, which will probably leave you more confused than you were before. It’s all about turning data, the right data, into usable information. Do you want more Social Media recommendations & hands-on tips? Get notified when we publish a new blog post or send out FREE goodies. No spam! We don't have time for that and neither should you. How to get your Facebook ad campaign ready for Christmas time!